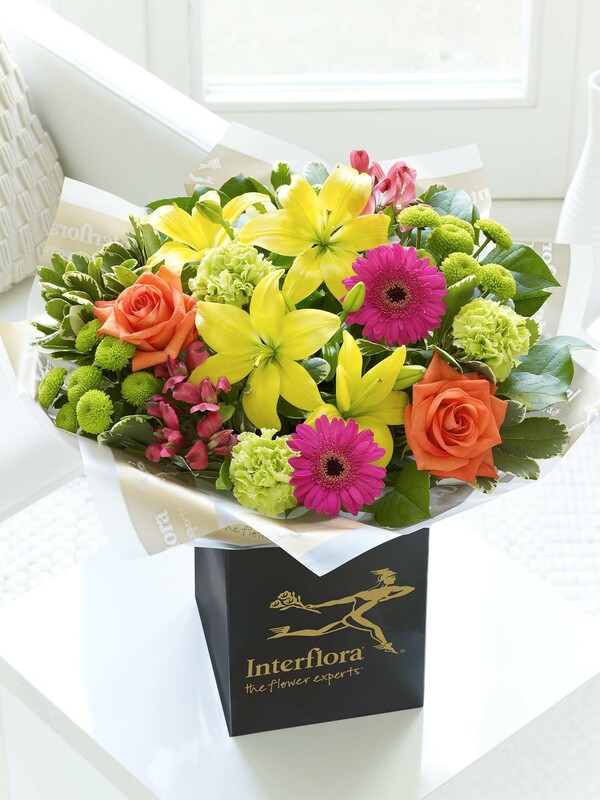 This radiant and vibrant happy birthday bouquet is a true kaleidoscope of colour! 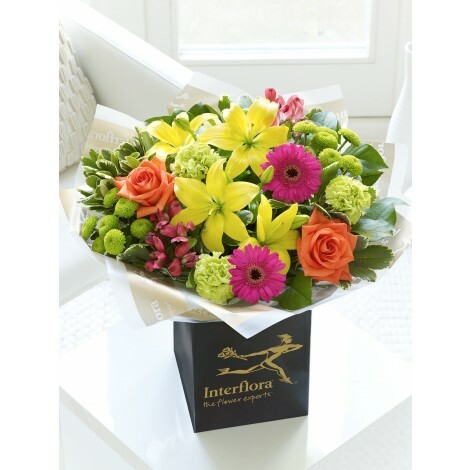 From vivid hot pink and shades of cerise to sunshine yellow, orange and lush greens this stunning selection is set to impress! 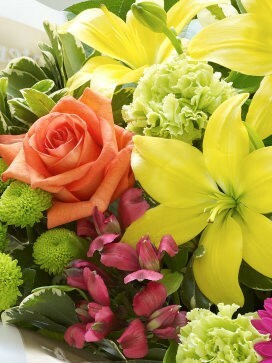 Featuring; pink alstroemeria, green carnations, cerise germinis, yellow Asiatic lilies, orange large-headed roses and green spray chrysanthemums with pittosporum and salal. 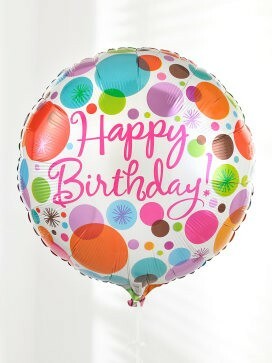 Expertly hand-tied and set to perfection, presented with Interflora gift wrapping, completed with a bright and bold "Happy Birthday" balloon.